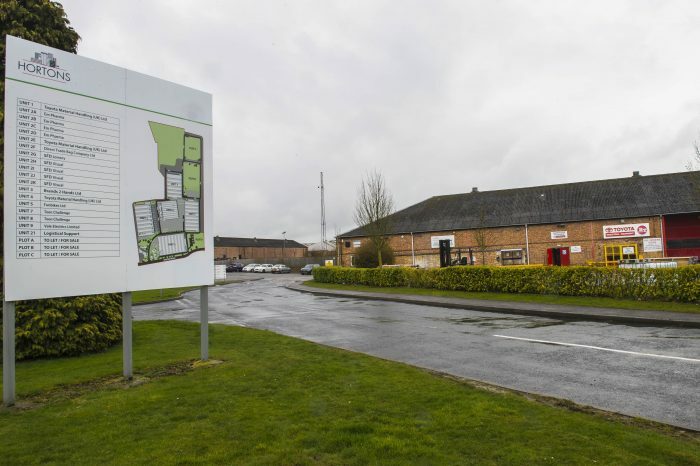 Toyota Materials Handling UK has signed a new five-year lease at Old Dalby Business Park in Leicestershire. The company, the global leader in materials handling manufacture, occupies 233,000 sq ft in three buildings at the site on Old Dalby Lane, Melton Mowbray, where it carries out refurbishment of forklift trucks. It has been based at the business park since 2002. Originally occupying 136,500 sq ft, Toyota Materials Handling UK has continued to expand to accommodate its growing business. More than 70 people are employed at the site. Landlord Hortons’ Estate Limited is investing £1.2 million in Old Dalby Business Park to make essential improvements to the roads and replace the roof on Unit 4 (80,000 sq ft), which is occupied by Toyota Materials Handling UK. While the work is being carried out to replace the roof, Toyota has relocated to temporary accommodation on the park. Jeremy Boothroyd from Hortons’ Estate said: “When we acquired the park in 2016, our aim was to add value through proactive asset management and working closely with tenants to help grow and expand their businesses.